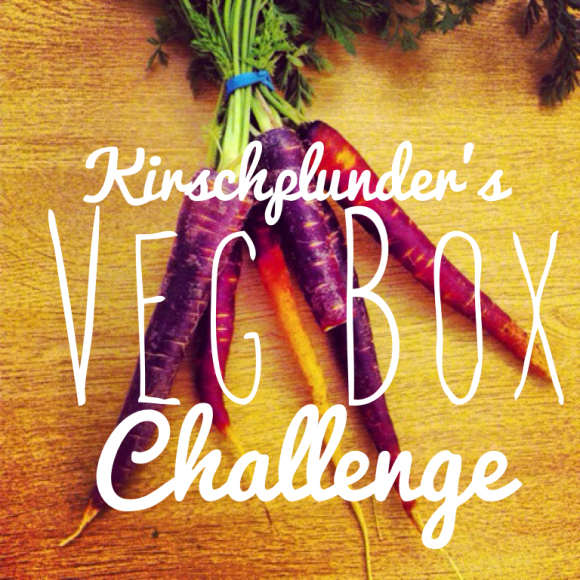 #VegBoxChallenge – The First Box! Haha! I did it! I cooked weird veg & ate it all & didn’t waste anything! Whoohoo! Ok so perhaps that isn’t a huge feat of skill for a lot of people, but for me it was an achievement. I was a little apprehensive at the start of getting the veg box, because I have had them before & mostly wasted them, or taken too long to get to the actual cooking, and they have just started to rot in the box. I thought I had some carrots, some courgettes a red pepper, an aubergine some vine tomatoes, some very knobbly potatoes and a cabbage. Turned out, I had Jerusalem Artichokes NOT knobbly potatoes, and a celeriac NOT a cabbage. (Thanks Fi, for pointing that out) I guess veg identification is not big on my list of skills. So the “noMeatballs” were from an Abel & Cole recipe & were a disaster, I think I put too many olives in with them, and so the ‘dough’ was really wet & sticky. I even baked them after frying them & they were still all wet & gloopy inside. Not a nice texture to eat. I left them a day in the fridge, thinking possibly they would set, they didn’t and were the only thing I didn’t eat out the box. Soup was made from the carrots & the “not really a cabbage” Celeriac. Never eaten a celeriac before, it was ok, think it might have been boring if it wasn’t with the carrots. The soup & the rosti made an awsome 2 lunches, and had about 7 ingredients in total. While I was eating my lunch there was a packet of biscuits on the table next to me, 14 ingredients, not all of them were “real.” I suspect that quite a few of them were in the biscuits to keep them on the shelf longer. What ever they were, it made me feel smug & awesome whilst eating my lunch. The roast veg & salsa were eaten together over 2 meals, nothing amazing about them, just tasty. Courgettes are alright, I suspect they may be better if you cook them less boringly. Kirschplunder turned hers into antipasta with cream cheese & it looks great! I’ve went for a Fruit & Veg box this week. White Onions, Spuds, Vine tomatoes, BEETROOT! !, and courgettes, pears, bananas and oranges. Very excited for real beetroot, as this is one of the only veg my husband says he will tolerate. Plus, for some reason, the idea of cooking & roasting my own beetroot makes me smile! ← Look Fit! #Juneathon is here!